Evidence submitted by CAS in response to the local government committee's enquiry into child poverty. CAS welcomes the opportunity to submit evidence to the Scottish Parliament’s Local Government and Communities Committee’s inquiry into child poverty in Scotland. As indicated above, we are well placed to comment in this area because of both the nature of clients seen by bureaux and the types of issue they bring. 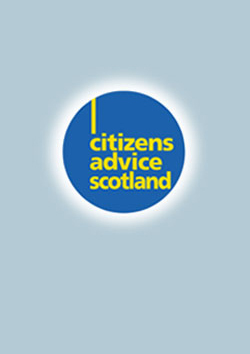 CAS has recently submitted written and oral evidence to the Scottish Affairs Select Committee’s Enquiry on Poverty in Scotland2, and a written response to the Scottish Government’s consultation on tackling poverty. Our evidence is based on the actual experiences of CAB clients, anonymised and presented as client case evidence. This is made possible by the service’s social policy feedback mechanism. Bureaux throughout Scotland highlight the problems in their area by sending in specific case examples that are indicative of wider issues. This information is collated and analysed by CAS, in conjunction with statistics from each bureau detailing the issues about which their clients are seeking advice and assistance.